6 Students at Saxion University have arrived in Ritchie, joining the other students from ‘small business’. 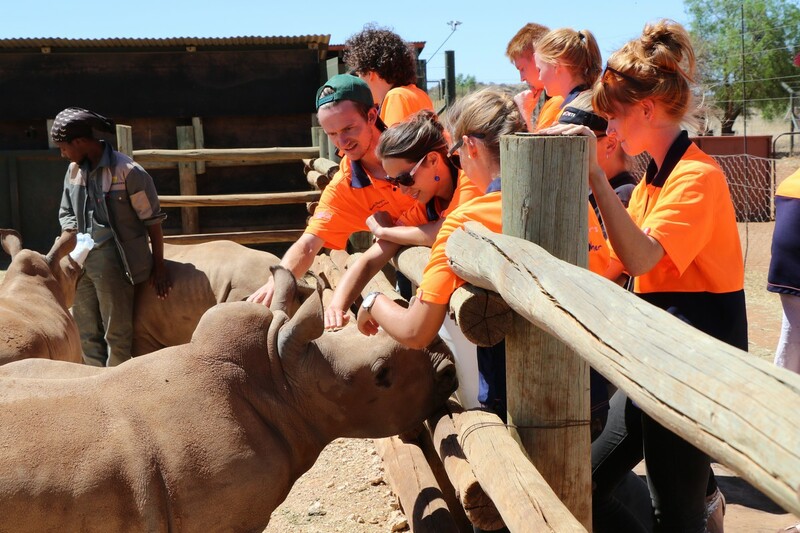 4 Windesheim students have been working on Yonder in Kimberley for some time now. A student resides in the township doing ‘social work’. The two counselors from Ritchie present themselves and welcome the students. We are proud of our trainees. Never before has Eye For Others offered an internship to so many students with cooperation with the local population. You can also see images of the Rainbow Project. The video is an introduction to make the next generation of volunteers enthusiastic. The New Groups will be prepared for the summer of 2018. You can still join the group. Contact us via the contact form. How SBRM students fulfill a meaningful project.